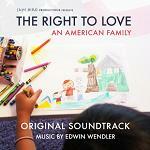 Edwin Wendler is an Austrian born composer, who seems to have been destined for a musical career from the start. Both his parents had professional singing careers (as tenor and soprano respectively), and his father became assistant director at the Vienna State Opera. Edwin himself attended the Vienna Choir Boys for a number of years, touring across the world with the famous choral group and working with many renowned singers and conductors. After his voice broke, he studied music and pursued his passion for film music, initially scoring a number of film shorts for an independent film company in Austria. After moving to Los Angeles Wendler has continued to build his reputation as a composer, orchestrator and arranger for a range of Hollywood productions. In common with many composers Edwin Wendler has served an apprenticeship as an arranger and orchestrator for other film composers, and occasionally contributing additional music. He has worked with Stephen Trask on "Little Fockers", with Paul Haslinger on "Into the Blue", "Turistas", "The Fifth Commandment", "Gardener of Eden" & the TV series "Sleeper Cell: American Terror", and recently with John Ottman on "The Losers" and "Unknown". Meanwhile Wendler has continued to further his solo career providing music for a variety of television and film productions, frequently short films shown at a variety of Film Festivals. A notable score for a short film was the animation Azureus Rising for which Wendler won a "Best Score" award at the Los Angeles International Film Festival in 2010. 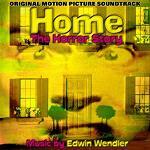 Among full length feature films, Wendler has scored "Home the Horror Story", "Taking Your Life", "Christmas with a Capital C" and "Escape". 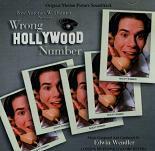 In his projects, Wendler has demonstrated a considerable breadth of styles, from dreamy effects in "Taking Your Life" and the fun horror of "Home The Horror Story" to his homage to the golden age of musicals in "Wrong Hollywood Number" and his driving rhythms for the TV series "The Interior". 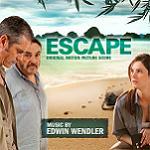 Just released is the composer's score for "Escape". The movie stars C. Thomas Howell and John Rhys-Davies as two very different men being held for ransom, who decide to work together to escape their captors. Being set in Thailand, the score features a range of ethnic influences and has been released by Perseverance Records. For more information including audio samples see the Forty-Two Trading Company. Some of Wendler's most inventive and inspirational music has been for a series of short films he scored for the Cheshire Project. Music from 3 of these films "The Return Of The Muskrats", "Sky Squad Eagle Eight" and "Selling The Future" have been released on an album called "Cheshire Adventures" with proceeds being donated to the charity Zeno Mountain Farm which runs camps bringing together people with and without disabilities. One of his most recent roles was scoring the documentary The Right to Love: An American Family, but the composer has since gone on to score the action/thriller "The Mark" and its sequel "The Mark: Redemption", both starring Craig Sheffer and Eric Roberts. You can hear sample tracks from "The Mark" at this location on SoundCloud. 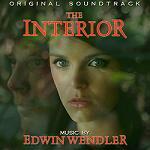 The composer's official web-site is at www.EdwinWendler.com. The Mark: Redemption - sequel to "The Mark"
Our review of the spectacular animation short Azureus Rising contains links to the animation itself on youtube, and mp3 downloads of all the tracks used in the film. In addition to this some of Wendler's scores can be found on Amazon (see below) or visit the "Film/TV Music Soundtracks" section of the Westwood Music Group which has released a number of Wendler's scores and has several tracks available for mp3 download.